I don't know about you, but so far I'm loving the shoes coming out for Spring! I'm seeing tons of navy and white stripes, pretty florals and metallics. While I do think that investing in a nice pair of sandals or two is important, things with trendy florals or metallic straps aren't things I'm always going to love, so I opt to purchase less expensive alternatives instead. This spring for example, I've been looking to J.Crew for inspiration and then finding cheaper versions at Gap, Old Navy and Target. Even though the quality isn't as good, it's likely that I won't wear the shoes for more than a season. Take the navy and white striped loafers for example (loove). J.Crew's shoes are not the best on me and they are outrageously priced at $160. Gap has a version that is just as cute, for only $40. 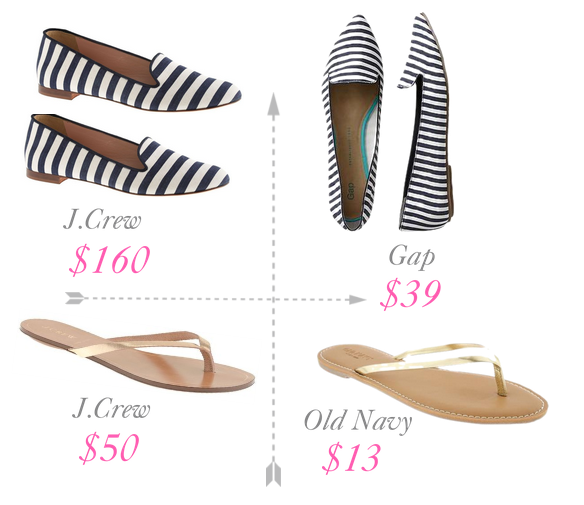 Similarly, Old Navy carries a metallic sandal for less than half the price of J.Crew's. Amazing, right?! Have you noticed any cheaper alternatives lately? Do share! I really like the Joie Nice sandals, but they are so expensive! Luckily Anthropologie has a similar pair that is only $70ish! thanks for including these more affordable options! I love those flats! Thanks for sharing a more affordable option! So glad you found some affordable options for us, I definitely don't have $160 to spend on loafers. I love that you look for cheaper alternatives too! J. Crew's prices will probably never be realistic for me at any point in my life... But I love looking to them for inspiration. 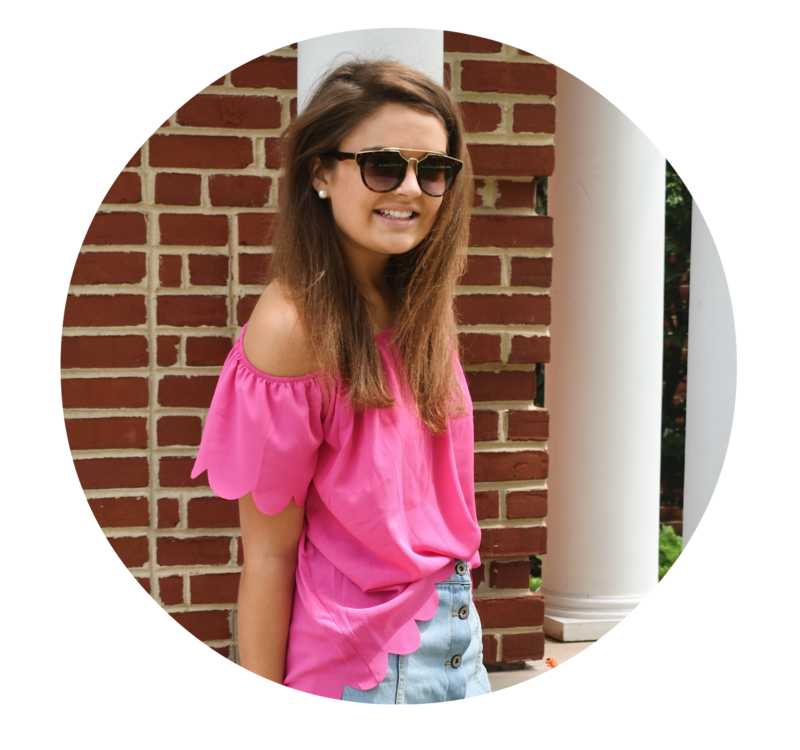 I love these shoes you've found, and I've had my eye on those striped loafers for weeks! Love your less expensive picks! Like you said, investing in a few good quality pairs is great, but less expensive ones are great for a season.